especially when it pertains to wearing white! I'm a crazy rule breaker (obvi). now "officially" acceptable I guess I won't be getting a moving violation anytime soon. P.S. Have you guys checked out the big Net-A-Porter sale yet? Swooning over these pumps and this dress! Can't believe I've just discovered your super nice blog. 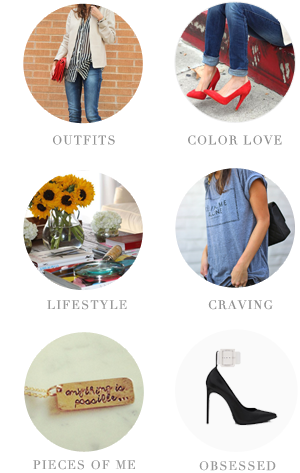 Now following you, this outfit is perfect!!! I'm loving this! I never would have thought to pair a crisp blazer with distressed denim shorts but the result is so edgy and awesome and polished all at the same time! Loving the blouse & necklace, too! So, so cute! Love the shirt! Equipment is the best!! Love how you paired suede pumps & white. And I love how that necklace balances out the color in the blouse! Gorgeous outfit! Have polka dots ever been sexier? I need to get a summer suit. 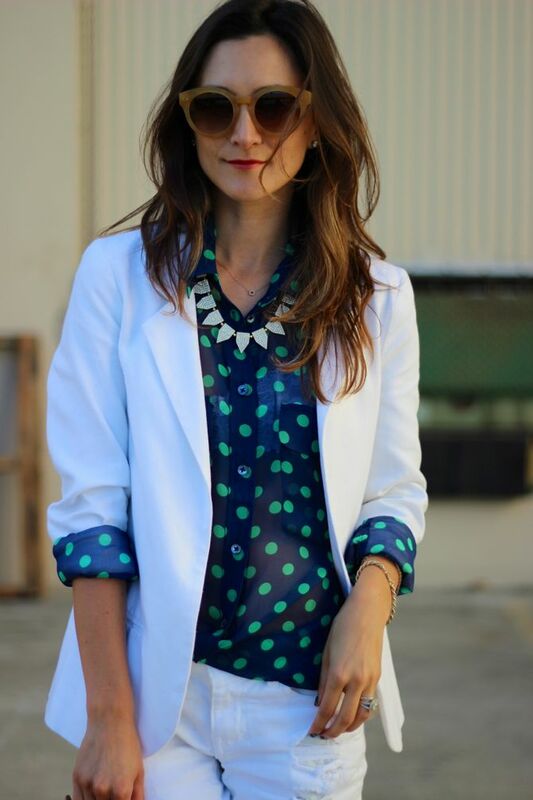 This one is beautiful and especially the way you styled it with this polka dot blouse.